Regardless of how “big”, how “devastating”, how “huge” these hurricanes, fires and more are being labeled, please remember that Mother Gaia is Hard-Wired to Heal. AND the strength of the human spirit is tremendous when we rally forth together, in wise compassionate ways. Good friends, please do not get sucked into the tsunami of fears that are rampant right now. Believe it or not, the heavier emotions of fear, anger, greed, etc., are only feeding the imbalanced energies here on Earth. These heavier emotions are feeding the weather, in truth, too. Step away from the media – if need be. Make wise plans for you, your loved ones. Get to know your neighbors even better. Watch funny movies. Play card games. Go harvest from your gardens, if you have one. If everyone on FB took 7 hours off of the social media system and news and instead went to go watch some hilarious movie or played cards with some good buddies in a fun way, or drummed with friends, or went for a long walk in a beautiful natural setting, this would be a positive shift in the energies on the planet. Truth. Please take a long hard look at your ecological footprint and be proactive on shifting away from using fossil fuels, and being more sustainable NOW. Rebuild Wisely NOW. Things on our Sacred Earth are out of balance for some good reasons. WE CAN SUPPORT bringing the balance back in. But succumbing to the depths of fear and overwhelm is only feeding the imbalance, along with all the other unsustainable, toxic actions on our Sacred Planet. Mother Gaia LOVES everyone, everyone. AND these extreme weather systems, etc., are a WAKE-UP call. There are many, many powerful and beautiful spiritual beings who are trying to help us from the Spirit Planes but all the fear and anger, etc., is blocking them to some degree. Please know that Mother Gaia does not want to see her humans suffering. Yet we have not been waking up. And it is Time. How I love you so much! This day of the eclipse is a significant one for me and for all of you, whether you realize it or not. This is a good day to be kind to yourself. To be kind to others. To offer Love and Compassion to yourself and others. It is a good day to Forgive, yourself! And others, too. It is a good day to pray, however you know how to pray. Let go of your guilt. Let go of your shame. You are all such beloved, beloved children of mine here on me. Beloved children of the Creator too. You are infinite Love too! It’s just that most of you were never taught that. It is a good day to be in stillness in your minds, your hearts, your soul centers. Stillness. Know that you are part of the One. I am part of the One. The Age of Separation is coming to an end and this can be peaceful. It truly can be peaceful if all of you want this. You must want it and live it in your lives, every moment of your day, as best as you can. I love you so much. Come to know that the trees, the flowers, the stones, the rivers and mountains and all beings are part of the One too. Come back home to me and Know the Oneness. You have forgotten the joys of community. It is time to remember. Pray today. Meditate. Do Ceremony. Be still. If you need to work, do it from a place of reverence toward all around you. Even reverence for your computer. Even reverence for your boss who may be the biggest teacher in your life, beyond your partner. I love you. I love you so much. And to my sensitives who are feeling so much and may be overwhelmed by the energies of this Eclipse day, my guidance is for you to find a tree and hug that tree. Put your back to the tree too. Give the tree Love and ask for energetic support from it. The tree will give you Love back and know what you need. They know more than you. Come to the Love. Come to the Oneness. You are already there. It’s just that you have forgotten. So, so much Quantum Divine Love from me (and Creator) to all of you! I’m not finding the time to post all the messages that are coming in from Mother here on this blog as much as I would like. Stretched a bit thin with event organizing, paperwork, etc. But the conversations between myself and Mother Gaia are intense these days. And fun and good. If you want to track me and the more simple messages – please friend or follow me on Facebook. I’ve also posted a recent message from Mother about her angle on Crop Circles on YouTube and will be doing more there in the coming weeks and months. There are others there from the past year, plus too. Plus some of these messages are ones that Mother is encouraging me to ask folks to pay a small fee for accessing. Some of those can be found here on my website from the winter (2017). Mother is ramping it up with me and keeping me more than busy! 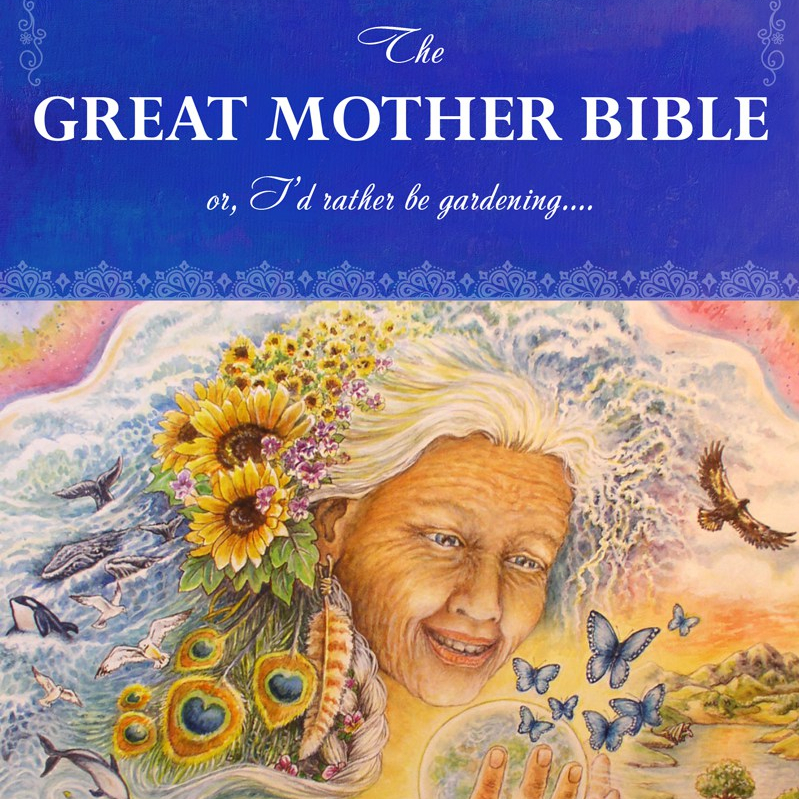 This video is an excerpt from the first award-winning book of channeled messages that I received from Earth Mother titled: Messages from Mother…. Earth Mother. This particular message excerpt is from the first message that Mare received from Earth Mother in June, 2012. Click here for the full message titled “To My Daughters”. The video was created for the 100 Thousand Poets for Change (100TPC) in Denver on Sept 24, 2016, organized by Mila Popovich (www.milapopovich.com). For more information about Mare and her multi-award-winning books and events, go to: www.marecromwell.com. Four 90 minute sessions on Wednesday nights. 8:30pm EST (5:30pm PST) – 10:00pm EST (7:00pm PST) . TO REGISTER: Send US$125 to: marecrom@gmail.com via Paypal. Please mark it to “Family and Friends”. After your payment is received, more information will be sent on how to participate in the course. All classes will be recorded and available to retrieve after the live session. Our planet is sacred and conscious. She is Gaia or Earth Mother and she is a powerful spiritual being unto herself. Indigenous peoples all over the world have honored Earth Mother for thousands of years. Their medicine people can communicate directly with her. Earth Mother is calling us to remember her and come back into balance on her. She is yearning for us to reconnect with her deeply, from our hearts and our spirit bodies. There is a New World being born right now and we can all be mid-wives in this birthing process by doing our spiritual and emotional (plus environmental) work and by connecting our love with Earth Mother’s Love more consciously. We can come home to Mother by our prayers, thoughts, and actions. In a rich, experiential online course, Gaia Communicator and award-winning author Mare Cromwell will guide participants in a journey of Spirit and Joy as she shares wisdom and hands-on practical and spiritual approaches to “Loving our Planet” based on a professional background as a sustainability educator along with nineteen years of studies with Native American medicine people. More information at Mare’s website. Posted with love on 8/3/16. Earth Mother’s Message on Chaos, the Grid of Energy, and need for Calm.